Delhi is a splendour on its own, don’t get me wrong, I love the constant rush, the busy lifestyle, the convenience of getting whatever you want at any time in the day, but every once in a while you need to give yourself a little time away from the urban jungle. You need to remind yourself that you are surrounded by history, that is beckoning and beautiful and very different from anything that is Delhi. And when that time arises, you can pack your bags and head to one of the most spectacular locations just a few kilometres away from Delhi. And that is exactly what I did, I was in a desperate need of a change, and I packed my bags and headed to Agra. 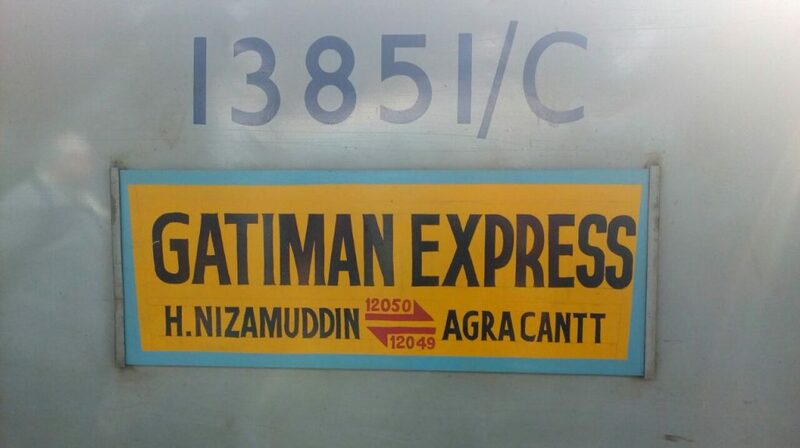 My journey started with me boarding the Gatimaan train from Hazzarat Nizamuddin station. This is a morning train and leaves the station by 8.10 am. The journey is a short one;Agra located about 200 km from Delhi, which is another reason why it is so great to make this trip. I reached Agra Cantonment in a little overan hour and a half; so by 9.50 I was standing in Agra. My first stop was the Ramada Plaza, a great place to crash in Agra. This 5 star hotel is located on Fatehabad Road which is roughly 10 kms from Agra Cantonment station. The Ramada Plaza is a great place to kick back and relax, away from the noisy chatter of the city life. The hotel comes with an outdoor pool to help you wind down from your busy schedule. A wide range of accommodation is available at this hotel, some of which also come with a private sauna! A well-equipped fitness center is also available for those whole take their exercise regimen where they go. But for someone like me, Ramada Plaza is the place to stay put in because of their multi-cuisine restaurant and buffet meals. A refreshing drink at the bar and a wide range of delicacies at their buffet make for a perfect evening if you believe in the motto, ‘wine, dine and relax’. After ample rest, comes the real reason, you visit Agra. An added bonus with Ramada Plaza is its location; just a few kilometres from the Taj Mahal, the Agra Fort and other famous sites around the city. You can event rent a car from the travel desk and leisurely enjoy your visit to the Taj. 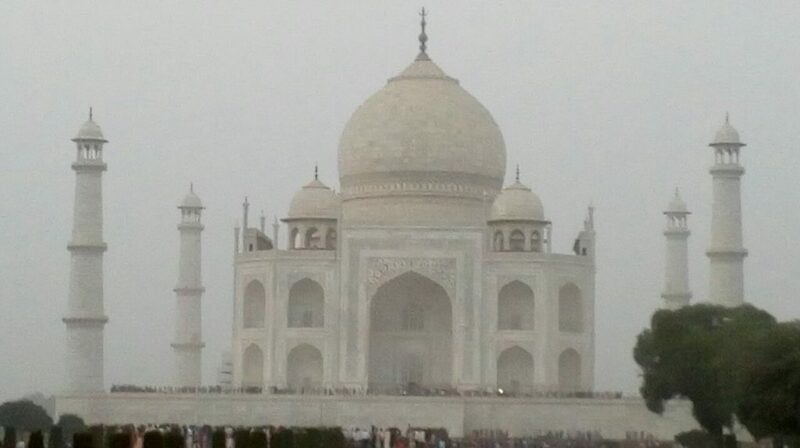 Our Visit To The Taj Mahal – Wah Taj!!! Amidst the dusty terrain of Uttar Pradesh, the Taj Mahal comes as a breath taking site, almost like a mirage or a dream on a hot sultry day. Nestled on the banks of the Yamuna, this white monument makes you forget that you are a part of the present world. It’s like a time capsule that is preserved from the decays of modern society, standing tall and upholding the essence of romantic love, that is lost in this fast passed life that we live today. Whenever I visit a monument, I find it always helps to brush up on a little bit of history, and for the Taj Mahal I was prepared. This ultimate abode of love was commissioned by Shah Jahan to house the tomb of his favourite wife – Mumtaz Mahal. 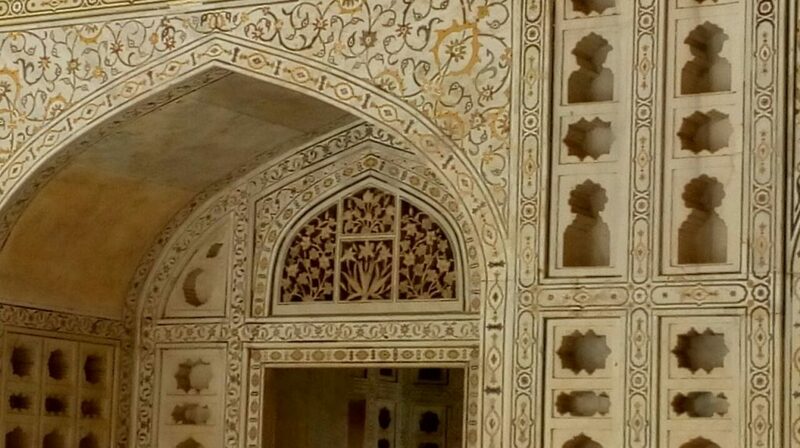 The white ivory marble gives the mausoleum an immaculate appearance, but the Taj Mahal is also shrouded in a dark past. 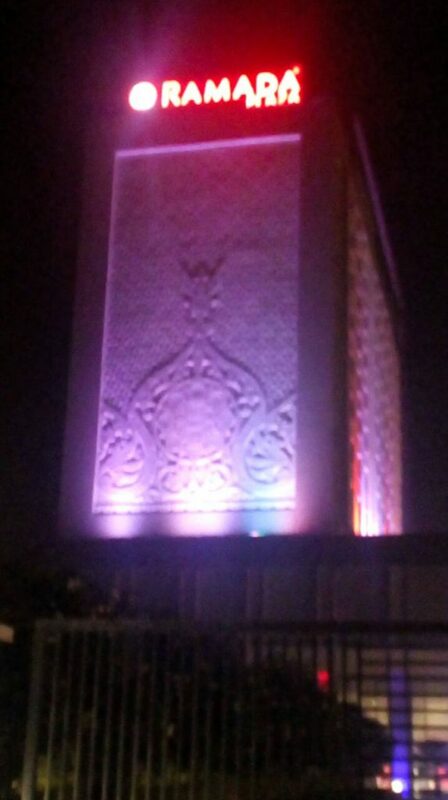 It is said that the arms and thumbs of artisans and craftsmen who worked on the monument, were cut off, so as to not produce anything as spectacular. The Taj Mahal has a lot to take in and if you are anything like me you would want to take your own time to soak it all in. Also there is quite a bit of walking around to do so I was thankful I wore my walking shoes on this visit. The Taj Mahal has a strict pollution code, which is why you are only allowed to walk or take the electric bus from the parking lot to the monument, so if you are visiting make sure you don’t put yourself in an uncomfortable position. 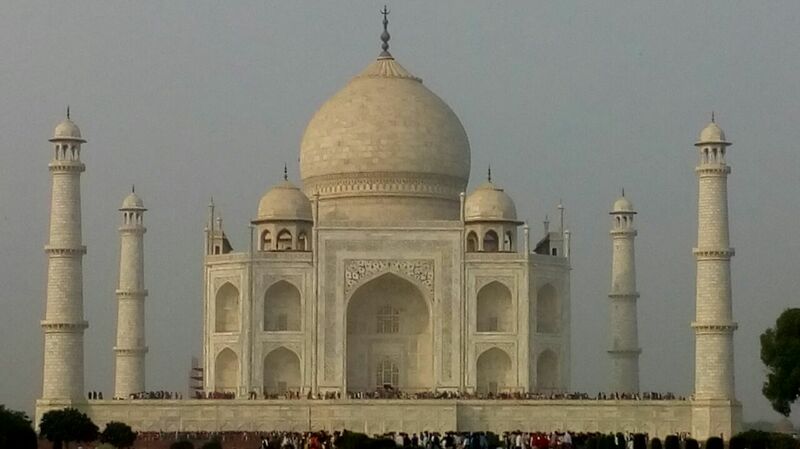 I wanted to spend as much of the day admiring the Taj Mahal, which is why that is all I planned to do for the day. If you are lucky enough to get to see the sun rise or set at the Taj Mahal, believe me it will stay with you forever. Pictures are another thing that you just cannot have enough of, so if you do want to capture a good Taj Mahal photograph, I suggest across the river. The premise also does not allow any food, so make sure you have your fill before you venture to the site. I headed on my second day to the Agra Fort, an architectural marvel that has been embroiled in history ever since its construction. 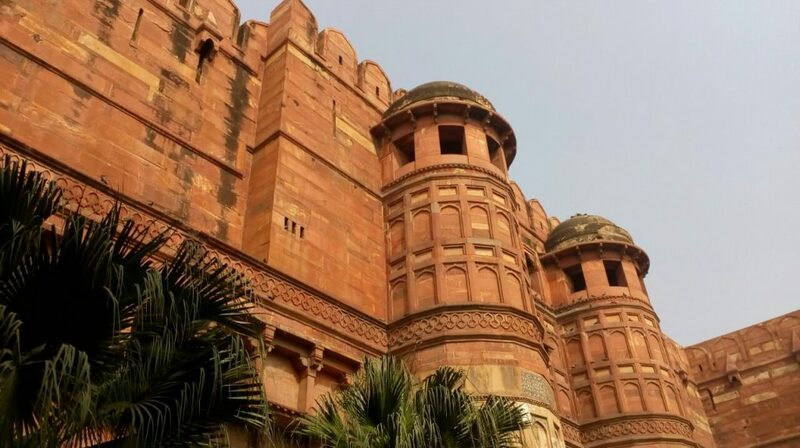 Moving between Hindu kings and Muslim rulers, the Agra fort has outlived kings, dynasties, and is etched in history as one of the most colourful forts of Indian history. 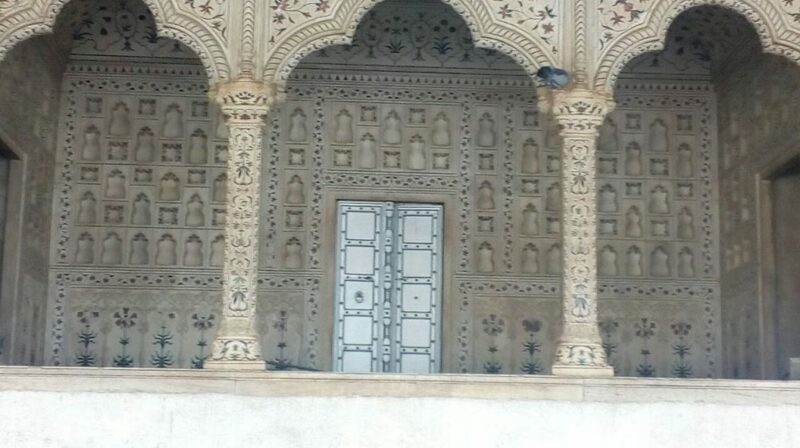 Like the Taj Mahal, eating is prohibited on the site, so make sure you have your fill outside the premises. Having learnt from my Taj Mahal experience, I decided on the walking shoes again, which was a good call since there was much ground to cover here as well. Tickets from our Taj Mahal trip can be used here as well, which I found was great. If you are a photography geek and love architecture, the Agra fort is a hidden gem. With the right lighting you will get some of the most breath taking pictures of the fort. Sadly day 2 was when my short trip to Agra came to an end. I had to head back to Agra Cantonment to catch the same train – Gatimaan that left the station at 17.50. 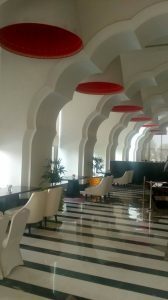 Apart from the majestic beauty that the Taj is and the history of the Agra Fort that beckons you, what I was going to sorely miss is the hospitality of the Ramada Plaza. The calm near the pool, the flavours of the food, the pampering services and the sincerity of the staff would all be missed when I would reach Delhi. I was back in Delhi by 19.30, spent some quality time with my friends. 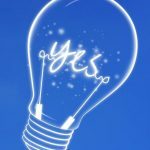 But more importantly, I was refreshed and ready to take on the week ahead.